ICO investment is high yield investment and extremely risky. But Nigerians are turning to it at an alarming rate thinking it’s a get rich quick scheme or an easy way to make money online. Even though some people will make money through ICO investments, most people will not. So don’t go and buy $100 coin and think after 2 months it will turn to $1,000,000. Coin’s price movement happens over time and there are alot of factors that actually affect it. ICO means initial coin offering and it’s a way to buy a coin, token etc before its official launch through crowdfunding/crowd sale. ICO investors buy the coin hoping that the price will rise after launch. 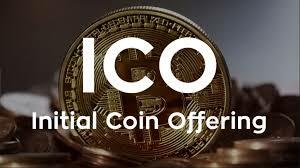 ICO is similar to IPO which means initial public offering in the world of stock. A coin is a token which represents some value which can be either promised or real. Once the Crowd sale of and ICO is completed , the new token will usually start trading on exchanges after one or two weeks and You can then choose to hold your tokens on the startup’s crowd sale platform or transfer them onto an exchange and trade them for other coins. To decide whether or not you want to invest in an ICO, is of course entirely up to you. ICOs are a very risky investment that could easily lead to heavy losses if you pick the wrong project to invest in. On the other hand, the top performing ICO tokens have become leading cryptocurrencies that have generated exuberant returns for their investors. These are some factors you should consider before you finally decide to put your hard earned money on any ICO investment. 1. Know whether the company is registered and have office address. 2. Know the team behind the project and how credible they are. 3. Know the level of experience and skills of the team in creating the product and services they are raising money for. 4. Know whether the startup have product and services already or they just want you to invest in Ideas. 5. Have idea about possible competitors to startup’s products and services to know whether it will actually perform well once launched. 9. How many token will be held by the startup’s developer team after the launch. This is by no means the only factors that can affect the success of an ICO investment but just a guide not to blindly invest and be able to atlest smell scam in some coins. Wish you good luck in your cryptocurrency ICO investment and please remember it’snot a get rich quick scheme or the easiest way to make money online.